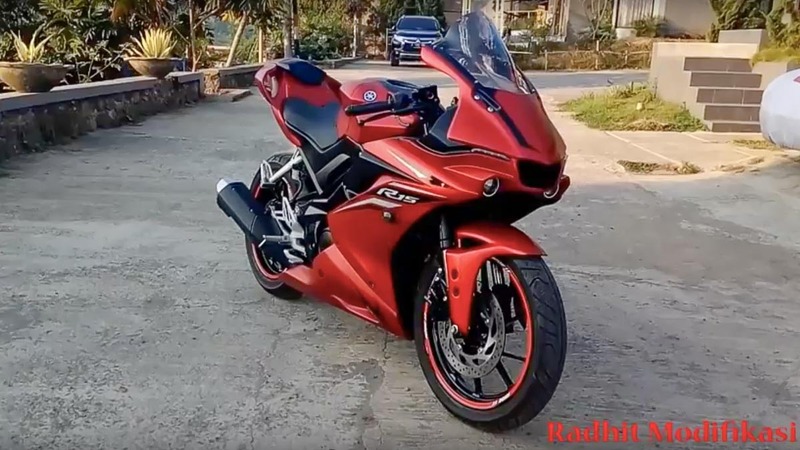 The third generation Yamaha R15 is so popular amongst the crowd because it not only is the most powerful R15 ever produced but also is the most loaded 150cc bike that you can buy in the market right now. There is one other reason why the motorcycle is equally popular amongst the crowd and that is because it gets its styling cues from Yamaha’s R-series bikes. Although this is a fully faired motorcycle which leaves very little scope for modification but an Indonesia based body kit maker called Radhit modifikasi built a complete bolt-on body kit to transform the standard Yamaha R15 V3.0 into a more stealthy appearing R1M. What is even more interesting is also the fact that the body kit can be shipped to anywhere across the world. The R1M body kit includes a new windshield, new side and body panels, redesigned front fender, and an aerodynamic tail section. The body kit also gets its own illumination kit which will replace the existing LED headlamp and taillamp setup with a dual-LED projector headlamp and an LED taillamp. The custom body kit maker will even paint the panels according to the colour of your choice as well. 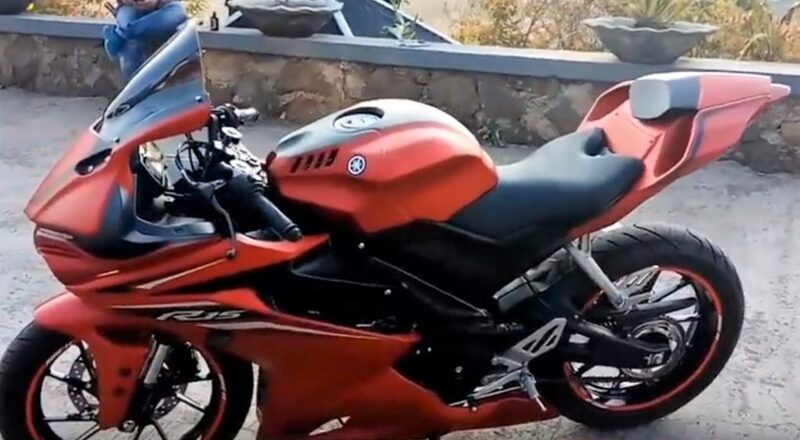 The body kit is available in Matte Black colour which gives the kitted R15 a stealthy appearance while there is also a matte Red option as well. If you do not like the R1M body kit there is also a different kit which will transform your R15 V3.0 into an R6. You can watch their videos on Youtube to find out more. Yamaha introduced a dual channel ABS safety feature recently on the R15 V3.0 which has further sweetened the deal. The motorcycle already gets a slipper clutch as standard and is powered by a new 155cc, single-cylinder, liquid-cooled engine. The engine is paired with a 6-speed gearbox is tuned to produce 19 bhp of peak power at 10,000 rpm and 14.7 Nm of peak torque available at 8500 rpm.